Along with other useful and learning applications, Mingoville has made its own ’seat’ on a Maggellan laptop. Now, any child who pressed the Start button on the laptop can now easily create an account on Mingoville and learn English the fun way on the fly. All instructions on how and where to create an account are provided in Portugese after pressing the Mingoville icon in the ‘Programs’ (or on the desktop). Additionally, 10 laptops were ordered to be sent to Kosovo and 1000 pieces to Botswana. This is me standing with the Maggellan laptop (just tried out the laptop and of course Mingoville. Works well!). Twenty years ago, my sister and I bought a business from our mother. We all love and respect oneanother and get along well. We will be finished paying off the business in two years. Our problem: Mom, who is now 77, still draws a salary from us above and beyond the payment for the business. Her workload has lessened greatly, as it should. She could do all of her work in one day and lessen the burden of her salary. However, she says she'd "go crazy" if she retired. We don't want that. She could still come in as often as she wants and do her personal paperwork, banking,letter-writing, reading, etc. These are all things she does at "work" -- on the clock. If we try to discuss this, Mom gets hurt and says, "Just let me know when I'm not worth the money." We don't want to do that. We would hope she would see the fairness of this and suggest it herself. Business expenses are going through the roof, and there are updates we should make, but we can't do it as long as we are paying Mom at the level we are, on top of the money for the buy-out. Menjadi setepat Bintang Utara. Tahukah Anda bahwa memerintah negara sama seperti mengurus keluarga? Anda harus memiliki dasar yang benar. Sekali Anda benar, sisanya tidak akan salah. Dasar dari suatu keluarga adalah kepala keluarga, dasar dari suatu negara adalah kepala negara. Dalam memerintah negara, pemerintah sama seperti Bintang Utara, memimpin jalan. Karena itu, kepemimpinan yang kuat dan stabil serta rencana yang matang merupakan dasar bagi pertumbuhan suatu negara atau organisasi. Setiap negara yang kuat dan makmur selalu memiliki penguasa yang bijak. Seperti Bintang Utara, posisinya harus tetap benar untuk memberikan arah. Ia yang tak tentu arah, bodoh, dan pengecut, akan gagal dalam apa punyang dilakukannya. Sebenarnya, kepemimpinan yang baik dan mantap tak dapat dipisahkan dalam suatu organisasi bisnis. Pemimpin harus sanggup menangkap kesempatan yang muncul dan menyelesaikannya. Menerima ide orang lain. Kata-kata manis tidak dalam tapi dangkal. Seorang penguasa bijak harus bisa menerima saran, ide bahkan kritik dariorang lain. Seorang penguasa yang cakap harus mempunyai pegawai yang jujur dan lurus di sampingnya. Seorang penguasa yang bodoh hanya memiliki bawahan yang penjilat di sekitarnya. Obat yang baik terasa pahit dan saran yang baik juga demikian. Sungguh terpuji seseorang yang berkedudukan tinggi seperti Kaisar / GM dapat menerima kritik pedas. Memahami masalah sepenuhnya dan membuat batasan antara yang benar dan yang salah. Pejabat yang setia dan yang jahat berbeda tapi sulit mengatakannya dari penampilansaja. Orang akan salah jika hanya mendasarkan pada perkataan dan sikap luar saja. Seorang penguasa harus berhati-hati saat memutuskan apakah benar atau salah. Seorang penguasa harus membiarkan bawahannya mengetahui tujuan dan rencananya sehingga mereka memahami kebijakan pemerintah. Pemerintah harus pertama-tama mendirikan seperangkat hukum yang jelas. Hukum harus diketahui sampai keseluruh negeri. Bila rakyat bersatu, mereka dapat memenangkan pertempuran. Seorang pemimpin harus membuat rakyatnya mengerti dengan jelas kebijakandan tujuan pemerintah. Hanya dengan demikian ia mendapat dukungan dan pengertian rakyatnya. 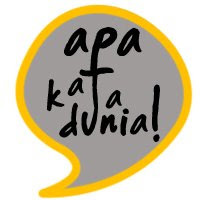 Promosikan yang berjasa dan pecat yang kurang mampu.Jika seorang penguasa ingin istananya bersih dari korupsi dan negaranya kuat dan makmur, penting untuk mengevaluasi kinerja bawahannya.Kriteria apa yang dipakai dalam menaikkan pangkat atau memecat pejabat? Kriterianya adalah apakah mereka dapat memberikan kontribusi bagi keberhasilan organisasi. Sangat berbahaya jika dipengaruhi oleh perasaan dan kesukaan pribadi. Berhati-hati saat menghadapi situasi kacau. Apa yang harus dilakukan saat pemerintahan sedang kacau? Pertama, kurangi jumlah staf dan kenakan disiplin ketat. Ok, segera dilakukan. Jika perbaikan tidak dilaksanakan dengan benar atau terburu-buru,akan terjadi kekacauan yang lebih besar. Reformasi harus dilaksanakan dengan hati-hati sesuai dengan kondisi yang ada di negara dan keinginan rakyat. Koreksi diri sebelum mengeluarkan perintah.Seorang penguasa yang malas tapi keras terhadap bawahan berarti menerapkan kebijakan yang buruk. Seorang penguasa yang tegas pada dirinya sebelum mengeluarkan perintah kepada bawahan berarti mempraktikkan kebijakan yang baik. Seorang penguasa yang tidak mempraktikkan apa yang dikatakannya akan kesulitan menerapkan perintah. Bila perintah tak dilaksanakan akan terjadi kekacauan. Penting untuk memberi contoh. Koreksi dirimu sebelum mengoreksi orang lain . Ini adalah prinsip kepemimpinan yang sederhana dan efektif tapi sering dilupakan. What is the most important English skill? What skill must you have to communicate well? Obviously, number 1 is Fluency. What is fluency? Fluency is the ability to speak (and understand)English quickly and easily... WITHOUT translation. Fluency means you can talk easily with nativespeakers-- they easily understand you, and you easily understand them. In fact, you speak andunderstand instantly.Fluency is your most important English goal.The research is clear-- there is only ONE way to get fluency. You do not get fluency by reading textbooks. You do not get fluency by going to English schools. You do not get fluency by studyinggrammar rules. To get English fluency, you must have a lot of understandable repetitive listening. That is theONLY way. To be a FANTASTIC English speaker, you must learn English with your ears, not withyour eyes. In other words, you must listen. Your ears are the key to excellent speaking. What kind of listening is best? Well, it must be understandable and must be repetitive. Both of those words are important-- Understandable and Repetitive. If you don't understand, you learn nothing. You will not improve. That's why listening to English TV does not help you. You don't understand most of it. It is too difficult. It is too fast. Its obvious right? If you do not understand, you will not improve. So, the best listening material is EASY. That’s right, you should listen mostly to easy English. Most students listen to English that is much too difficult. They don’t understand enough, and so they learn slowly. Listen to easier English, and your speaking will improve faster! Understanding is Only Half The Formula. Understanding is not enough. You must also have a lot of repetition. If you hear a new word only once, you will soon forget it. If you hear it 5 times, you will still probably forget it! You must hear new words and new grammar many times before you will understand them instantly. How many times is necessary? Most people must hear a new word 30 times to remember it forever. To know a word and instantly understand it, you probably need to hear it 50-100 times! That's why I tell my students to listen to all of my lessons many times. I tell them to listen to the Mini-Stories, the Vocab Lessons, The Point-of-View Stories, and the Audio articles everyday. I recommend that they listen to each lesson a total of 30 times (for example, 2 times a day for twoweeks). So, the two most important points are: listen to easier English and listen to each thing many times. For example, you can choose one speaker and find many things by him. Listen to all of his podcasts, audio books, and speeches. This is powerful because all speakers have favorite vocabulary and grammar. They naturally repeat these many times. By listening to many things by the same person, you automatically get a lot of vocabulary repetition. You learn faster and deeper! Another example is to choose one topic to focus on. For example, you could read an easy book, listen to the same audio book, listen to a podcast about the book, and watch the movie. I did this with my class in San Francisco. We read “Charlie and the Chocolate Factory”. Then we listened to the audio book. Then we watched (and listened to) the movie. Then we listened to interviews with actors in the movie. My students learned a lot of vocabulary in a short time, and their speaking improved very quickly. Which is better: to listen for two hours without a break, or to divide that time during the day? Well, dividing your listening time is best. By dividing your time throughout the day, you remember more and learn faster. So its much better to listen 30 minutes in the morning, then 30 minutes in the car or train, then 30 minutes coming home from work, then 30 minutes before sleep. In fact, this is the exact schedule I recommend to my students! iPods are fantastic. You can put a big listening library on one. Then you can carry your English lessons everywhere. You can learn English while walking, while shopping, in the car, in a train, while cooking,....... With an iPod or MP3 player, you don’t have to worry about CDs. Also, you can find a lot of English listening on the internet. You can find lessons, stories, podcasts, TV shows, interviews, and audio books. Simply download the audio, put it on your iPod.. and learn English anywhere! Movies are great for learning English BUT you must use them correctly. Don’t watch all of an English movie. You will not understand it, and therefore you will not learn anything. Only watch one scene or segment per week (maybe 2-3 minutes). First, watch the scene with subtitles in your language. This will help you understand the general meaning. Second, watch the scene with English subtitles. Pause. Use a dictionary to find new words you don’t understand. Write the new sentences in a notebook. Listen to the scene a few times, with English subtitles. Do not pause. Listen to the scene a few times, without subtitles. Repeat a) - d) everyday for one week. On the second week, go to the next cene/segment and repeat again. It will take you a long time to finish a movie. That’s OK, because you will improve your listening and speaking VERY FAST. This method is powerful-- use it! Listening and Reading together are very powerful. While you listen to something, also read it. This will improve your pronunciation. Reading while listening also helps you understand more difficult material. Read and listen to learn faster. After you do this a few times, put away the text and just listen. You will understand a lot more and you will improve faster. Always try to find both audio and text materials. To start, you can read my blog and listen to my podcast at: Audio & Text Another great idea is to get both a book and its audio book (ie. the above example of “Charlie and the Chocolate Factory”). Follow the above suggestions (and the 7 Rules in my email course) and you will speak excellent English. I have been teaching over 10 years. Every student who follows these methods succeeds. Always! The Effortless English method is the key to speaking excellent English. It is the key to fluency. You only need 6 months-- 6 months and you will speak easily to native speakers. 6 months and you will speak quickly and naturally. 6 months and you feel relaxed when you speak English. You have tried the old ways. You tried textbooks. You tried schools. You tried grammar study. It is time to try something new!